"The Daily Mail reported that in 1958, after becoming famous for his hit songs "Whole Lotta Shakin' Goin' On" and "Great Balls of Fire", Jerry Lee went on a six-week-tour of Britain. Upon arriving at the airport, Paul Tanfield, a reporter with the Daily Mail, noticed a nymphet in Jerry's entourage. “I'm Myra. Jerry's wife.” she said in response to Tanfield's inquiry. “And how old is Myra?” Tanfield asked. 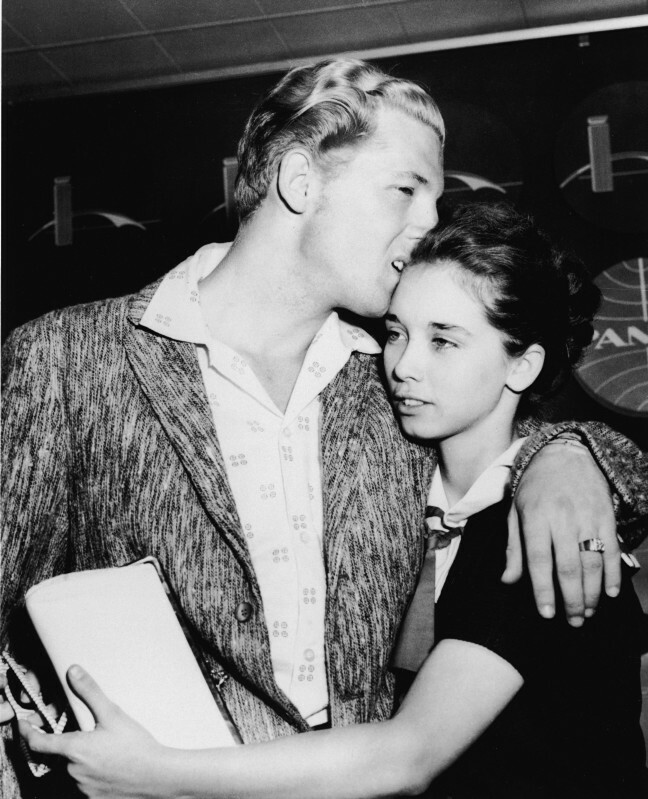 The news that Jerry Lee was married to a fifteen-year-old was not well received by British citizens, and it got worse for Jerry Lee when it was revealed that Myra was not fifteen. Not only was Myra thirteen, she was Jerry’s cousin, and it turned out that Jerry Lee may have still been married to his first wife. Upon receiving the startling news, the media and angry British citizens besieged the age-discrepant couple's plush Westbury Hotel. After Jerry Lee's marriage was investigated by the British police, the Director of Public Prosecutions, and the House of Commons, Jerry Lee was asked to leave Britain after only three performances. Upon returning to the States, disc jockeys in the States and around the world refused to play Jerry Lee's music. Subsequently, he was reduced to being a two-hit wonder, and he went from making $10,000 to $100 a night per performance."